You’ve taken our advice and made gifts, arranged your Wills and Lasting powers of attorney; so what next? Plan your funeral! Having had the unfortunate responsibilities of arranging my father and my aunt’s funerals over the last two years, I unfortunately speak from experience. As a family, we had never had the conversation of “what they would have wanted”. Giving your nearest and dearest an indication of what you want will potentially prevent discord, distress and guilt if family members have clarity on what you wanted. There’s not only the financial aspects to think about; cremation or burial, religious or non-religious, what music do I choose, hymns, readings, writing their eulogy, dress-code, flowers or donations to a charity, which charity, a celebration or solemnity, arrangements for the wake, and if cremated what about scattering the ashes…..
Not the most pleasant of things to think about, but your nearest and dearest will appreciate you having given this some thought and told them of your wishes. It’s probably best not to incorporate this into your Will, but in a separate document that can be easily found. My family now know that I want my favourite Christmas Carol sung “O Come All Ye Faithful”, all six verses, regardless of the time of year! Apparently, the average age at which people start to think about funeral arrangements is 51 years old, so I am just over 12 months ahead of the average person! Something to think about over the longer winter evenings…. 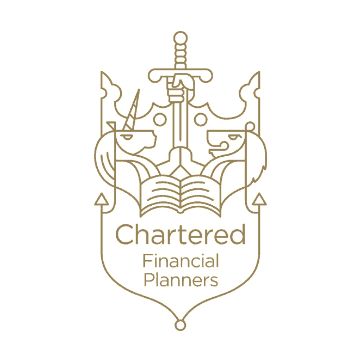 What does Chartered mean and why do we use it?